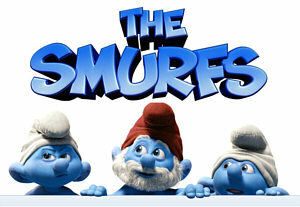 Everyone was surprised when The Smurfs edged out Cowboys and Aliens when it came to box office gross. Cowboys and Aliens had an all-star cast and a director on the cusp of A-list status behind it, while The Smurfs just had Katy Perry and Hank Azaria to brag about. Now, two weeks later, Smurfs are hot in Hollywood while Jon Favreau is thinking long and hard about why he passed on Iron Man 3. Fresh off the latest box office report that Smurfs has already made back its budget comes word that Sony has set an August 2nd 2013 release date for The Smurfs 2, which doesn’t have a cast, director, or script, but by god they will meet that date. If Alvin and the Chipmunks has taught us anything, its taught us that kids love adorable CGI creatures running around and causing vast amounts of havoc for their human caretakers. I haven’t seen The Smurfs, but come on, what else could it possibly be about? Will Sony Make “The Girl Who Played With Fire”? Comments for Another “Smurfs” Film Is Happening are now closed.